A guinea pig body language will give you some basic insights on the general emotions he’s going through at any particular moment. 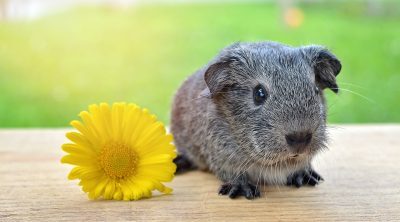 In the beginning it may be hard to understand what’s happening, but after awhile, you’ll get to know your guinea pig and his normal states and be able to spot changes in his behavior. 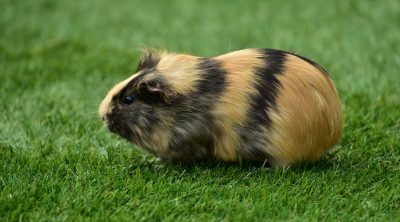 Despite the fact that guinea pigs have strong jaws, they don’t usually bite their owners too hard, even if they’re very upset. What they do actually is grab the owner’s finger only to signal their feeling. 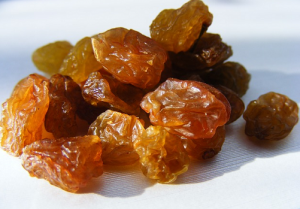 Chewing may be a sign of frustration when the object is not the actual food. Oftentimes it happens with the cage, and that means frustration, though sometimes it seems to happen without any reason at all. 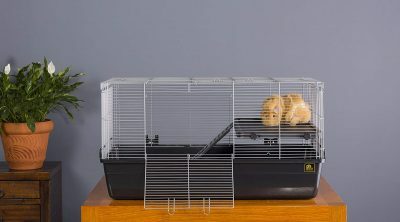 Licking is often seen by many people as a friendly behavior of guinea pigs who either want to show their love and affection to their owners or apologize for an earlier bad behavior. But that might just mean they love to lick the salt on our skin. As for many animals, sniffing is for guinea pigs a way to check out what’s going on around them and with the other beings, human or not. While sniffing is a sign of curiosity, freezing shows uncertainty. 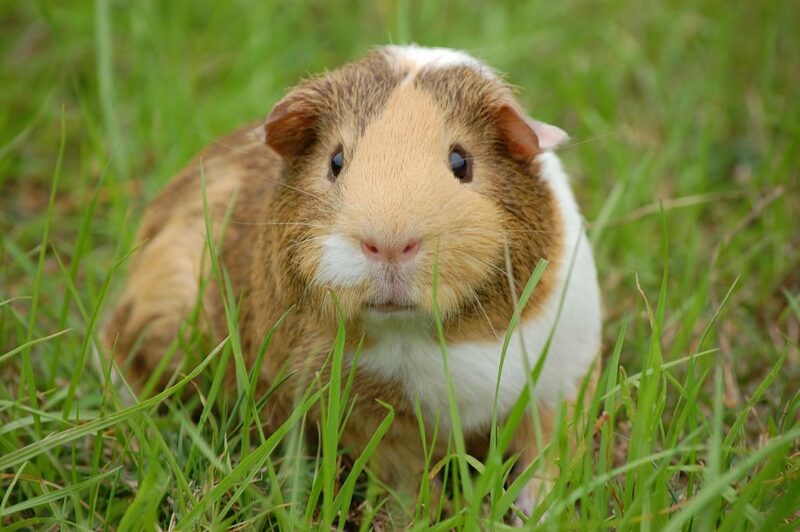 A guinea pig that freezes in place means that he’s startled or shocked by something in his immediate vicinity. Freezing is a sign of fear. 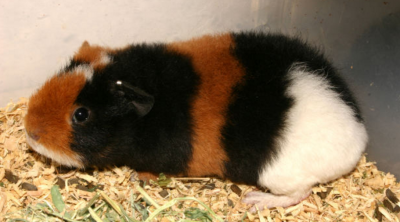 A guinea pig tossing his head into the air translates as annoyance. They do that to signal that they’re annoyed by something and want that to stop. It may happen for example when you pet him and he doesn’t want it. A guinea pig touching the nose of another pig signals friendliness. 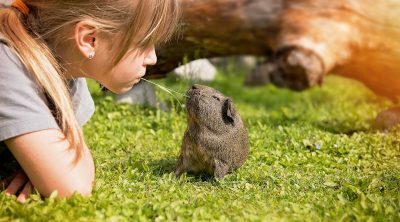 Touching their noses is a sign of greeting between guinea pigs. Your furry friend jumping up and down means that he’s really happy or want to play. That can happen in the presence of both humans and other guinea pigs. Strutting means moving side to side with their legs tense and is a form of aggression. If it happens around a female guinea pig, that should be interpreted as a mating sign. Fighting is takes place mostly between males and the reason is of course a female. Females can fight as well, but the reason is territorial. 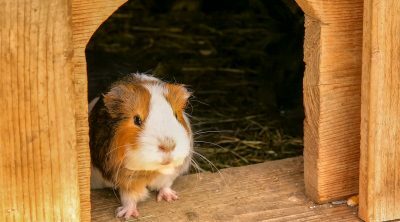 These are the main behaviors of guinea pigs, but it’s important to get to know your pet for a while before trying to interpret his body language. Top tips using the pet corrector – is it worth it?